By far, the most common type of life insurance purchased is on a single individual. But in the right circumstance, a second-to-die life insurance policy may be exactly what you need. A second-to-die policy is unique in that there are two insureds (usually spouses) and a death benefit is only paid out upon the second insured’s death. So we have two lives covered, two deaths, but only one death benefit. In most traditional types of life insurance sales, the proceeds are left to the surviving spouse for various financial needs. Obviously, that’s not the case here, so let’s take a look at why someone would purchase a second-to-die policy. 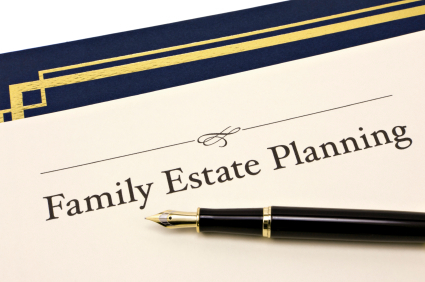 Estate Planning Purposes – Approximately 90% of these policies are purchased by couple’s with large estates, who may have an estate tax problem. This is really a simple concept. The first spouse passes an unlimited marital deduction upon his or her death to the surviving spouse. Upon the second spouse’s death, their entire estate is subject to various forms of taxation (income tax, possibly estate tax, etc.) So what better way to pay the estate tax bill than with a life insurance policy, which cost pennies on the dollar, and pays out an income tax free death benefit? Support of Children – Since the death benefit does not pass to the surviving spouse, it is usually purchased with a married couple’s children in mind. Perhaps there are unpaid bills or debt such as a mortgage to be willed to the children, and the parents don’t want to pass away leaving their children with a loan on the house. Affordability – Second-to-die policies are, on average, 25-40% cheaper than purchasing a policy on just one individual. The savings could be even more drastic if one of the spouses has some health issues, but the policy is issued anyway based on the good health of the other spouse. Cash Accumulation – Since the cost of insurance (COI) in these policies is so low, some people leverage them as investment vehicles to grow its cash value account. Charitable Bequests – Perhaps you have a favorite charity or educational institution. Many libraries have been named and scholarship funds have been created due to the proceeds of second-to-die policies from generous benefactors. Perhaps you can’t afford a $500,000 outright gift, but you can pay $10,000 per year. Leverage your dollars and buy a 2nd-to-die policy with your favorite charity as beneficiary. The most common type of second-to-die policy sold is universal life. All the big carriers such as Prudential, Met Life, and ING offer a 2nd-to-die option. Protective Life is the only life insurance company I’m aware of that has term policy with this option. You can purchase 10, 20, or 30 year convertible second-to-die term, and boy, is it ever affordable. The only downside with Protective’s term policy is the best health class they’ll offer is Standard. So if you’re both in excellent health, you get somewhat of a downgrade in health classification here, as the best you can qualify for is standard. Do the two Insureds have to be Husband and Wife? No. You can have second-to-die policies with mother and son, siblings, 2 business partners, etc. For example, I used to volunteer on the board of a private school in San Diego, which had been co-founded by two wonderful women. You could make the argument that a 2nd-to-die policy would be appropriate for the school to purchase on them for succession planning. You see, if one were to die unexpectedly, the other could take over her responsibilities, but when they’re both gone, you could argue the school could suffer from decreased attendance while the successor moves into his or her new job. You may notice in the quote results, you won’t find an option for second-to-die policies, so to get a quote, you’ll need to call us directly at 877-996-9383. *If you enjoyed this article, please share on Facebook or Google Plus 1 it. Thank you!